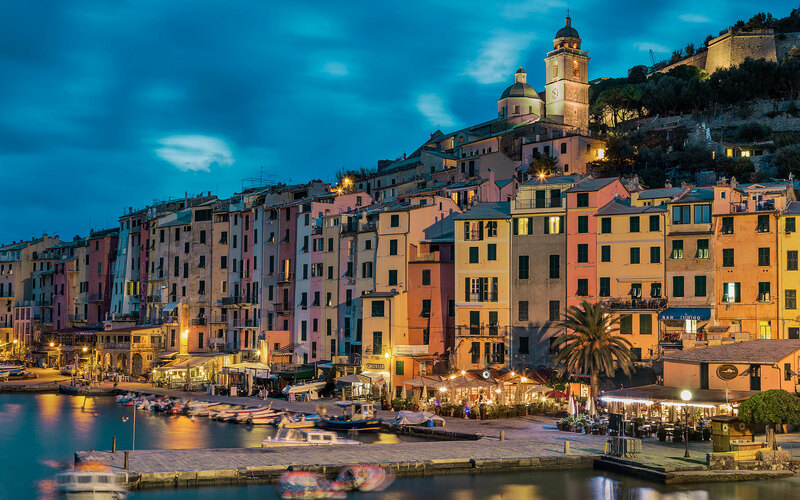 Portovenere means “Port of Venus” and indeed everything about this charming pastel colored fishing village is pure romance. The views are simply spectacular and the colorful houses, which date from the 12th century, give the visitor the impression they have stepped right into a post card. The town enjoys a panoramic position; in particular the local church is built in an amazing position high on a rock. The Gothic chapel holds about 30 guests and is made out of the local stone in striking black and white pattern. Civil weddings are celebrated in more modern wedding hall, but both locations enjoy remarkable sea views. Best of all, your wedding photos taken in Portovenere will reflect the charm and romantic setting of your surroundings including the ancient citdeal, the flowering balconies and of course the deep blue sea all around you.